What is actually the difference between Oakley Flight Deck vs XM? When looking for the best ski glasses, you should carefully consider the size that is suitable for your face as well as your helmet. The glasses should fit properly without being too tight or too loose. Oakley Flight Deck and Oakley Flight Deck XM have similar features, indeed, but they are not the same. 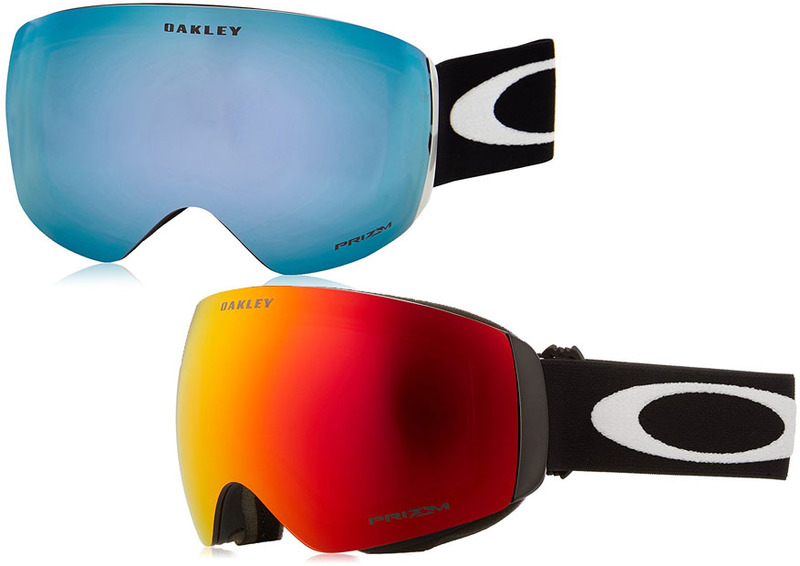 Continue reading below to see the similarities and differences between Oakley Flight Deck and Oakley Flight Deck XM. The regular Oakley Flight Deck and the compact Oakley Flight Deck XM are based on the same design. They have been designed to maintain the same features. Both of these two models have rimless glasses in order to provide a wide, expansive peripheral field of view, while at the same time minimizing the frame volume and weight for the best comfort. Each of the two models is equipped with the flexible O Matter face plate for impact resistance. There is a triple-layered face foam to enhance the comfort. As a result, the ski glasses can provide very good comfort and protection. In the case of an impact, the ski glasses are designed to reduce the force going to the face. Each model also has a very nice silicone strap system which ensures that the goggles can stay in place regardless of whether you are wearing a helmet or not. The silicone strap system fits nicely without creating too much pressure or irritation. Fog is a common issue in the winter months. Fortunately, both Oakley Flight Deck and Oakley Flight Deck XM come with a superior anti-fog coating which ensures that the glasses will stay clear all the time while you are skiing. Both models can also be turned into prescription goggles. So, if you have specific Rx needs, you can order a customized pair of prescription inserts for either Oakley Flight Deck or Oakley Flight Deck XM. The difference between Oakley Flight Deck vs XM is only the size. The original model is Oakley Flight Deck. It is an oversized goggle, and it offers an unrivaled field of view. The oversized design also provides a wider coverage for protection. However, the large size is not suitable for all people. Some people prefer to use a smaller goggle, either for comfort or for style. Oakley Flight Deck XM has been released to answer the demand. This is a more compact mid-sized goggle. It is not as large, so it is a suitable choice if your face is rather small. The more compact design is considered to be more stylish by some people. The total field of view is indeed narrower, but it still allows you to see the environment conveniently. If your face is rather small, you may feel more comfortable and confident wearing the more compact Oakley Flight Deck XM. It will fit your face better. Otherwise, you should choose Oakley Flight Deck, which provides more protection and a more expansive field of view.